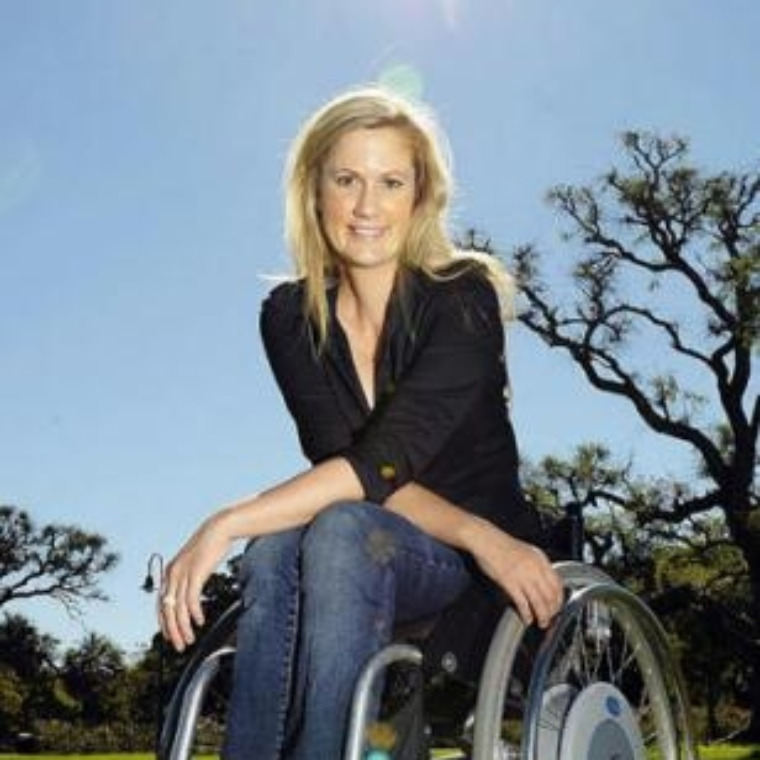 As a Paralympian, businesswoman, commentator, writer, counsellor, fundraiser and disability champion, Karni speaks to thousands of audiences around the world, encouraging them to think differently about how our choices in life shape our health, our success, and our attitude, despite whatever life circumstances we were given. Karni has an infectious and unique attitude on life and is able to deliver powerful, authentic, down-to-earth presentations capturing her experiences of living with a progressive debilitating muscle wasting disease and being labelled as a person who would not live past her teenage years. She encourages people to believe they too can ‘have a crack’ at life no matter what their life circumstances are, as she chose to be an elite athlete despite being born with a muscle wasting disease. She chose to be a swimmer even though she is unable to lift her arms above her head. Karni’s life has been about having the will to prove what her body can do, even though she was told that her body would progressively waste away and that she would lose the ability to walk and breathe independently by her teenage years. Her unwavering parents developed a self-invented rehabilitation program which defied most specialist’s belief that exercise only exacerbated this disease. Their unique approach involved swimming, horse-riding, diet, Pilates, physio, faith healers, juicing, massage, bike-riding, stretching and a multitude of whacky fads and remedies. This unique approach is a lifestyle Karni still follows today as she credits this program for giving her the privilege of still walking at 34, being a Paralympic medalist and for being able to dance (maybe not ‘Twerk!’). After completing a Masters in Counselling/Social Work and a double degree in Communications Karni is able to effortlessly integrate your key messages into her presentation in a natural, sincere manner as she is genuinely able to connect and engage with people from all walks of life. Karni has risen over $1million dollars for the various charities she supports. Her proudest moment was when she was able to hand over nearly $1million to the Australian Paralympic Committee to enable the full Australian team to compete at the Athens Paralympics, she achieved this by delivering over 1000 speeches to all Westpac staff to inspire them to organize their own fundraising events. Karni’s is passionate about changing people’s perceptions on disability and this is what drove her to model for various magazines and she is still the only woman in Australia with a disability to be on the cover of Inside Sport Magazine. Karni’s mantra in life is that “accidents, illness and disability doesn’t discriminate it chooses beautiful, intelligent, funny, successful and talented people every day.” Karni is currently the Ambassador for Muscular Dystrophy Association, Sporting Wheelies and Disabled Association, Day of Difference Foundation and the National Disability Insurance Scheme (NDIS).